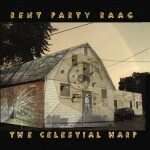 The Celestial Harp Band playing with the actual sounds of the planets in space, as recorded by the NASA Voyager I & II flights. 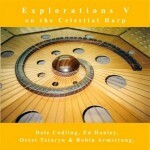 This recording consists of The Celestial Harp Band playing with the actual sounds of the planets in space, as recorded by the NASA Voyager I & II flights. The electromagnetic frequencies of the planets were recorded and sent back to earth, where they were converted into a range audible to our ears. The planets’ sound conversions were made by Brain/Mind Research for which they have the copyright. These can be ordered from Brain/Mind Research, 204 N. El Camino Real, Ste#E116, Encinitas, CA 92024.
taken by NASA Voyager probes. Michael Moon … Celestial Harp, xylophone, & some voice. 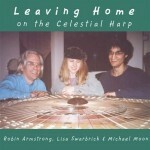 Robin Armstrong … Celestial Harp, Egyptian reed pipes & some voice. Michael Moon … Celestial Harp, bells & voice. 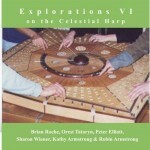 Robin Armstrong … Celestial Harp, bells & voice. Kathleen Richardson … main voice. Lisa Swarbrick … Celestial Harp, drum set & cymbals. 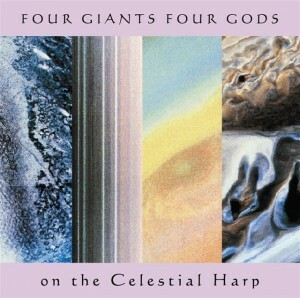 Orest Tataryn … Celestial Harp, flutes & whistle. Robin Armstrong … Celestial Harp, wind pipe & some voice. photo segments of the terrain of Neptune, Uranus, Saturn and Jupiter. The recording & mix was done by Robin Armstrong. Mastered by Lisa Swarbrick at Unmbrella Sound. © 1997 The Celestial Harp, Box 5265, Stn.”A”, Toronto, Ont. M5W 1N5.